This is part one of a six-part series on planning your playground. You can also find this information in the Blueprint for Play: Plan It guidebook. You want to build a playground. Great! Now what? Let's start from the very beginning (it's a very good place to start, according to Maria Von Trapp) and assess your needs and budget. Step 1: Assess your needs and budget. 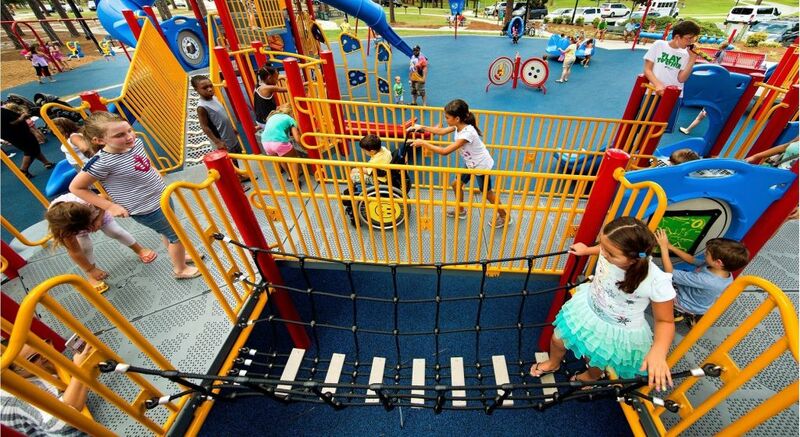 This is the big question: How much does a commercial playground cost? And, knowing that a good, long-lasting, high-quality playground costs between $20,000 and $50,000, how much can your community (or school, or daycare) afford? In order to determine your priorities and how much money you will need to raise, there are some major factors to consider. 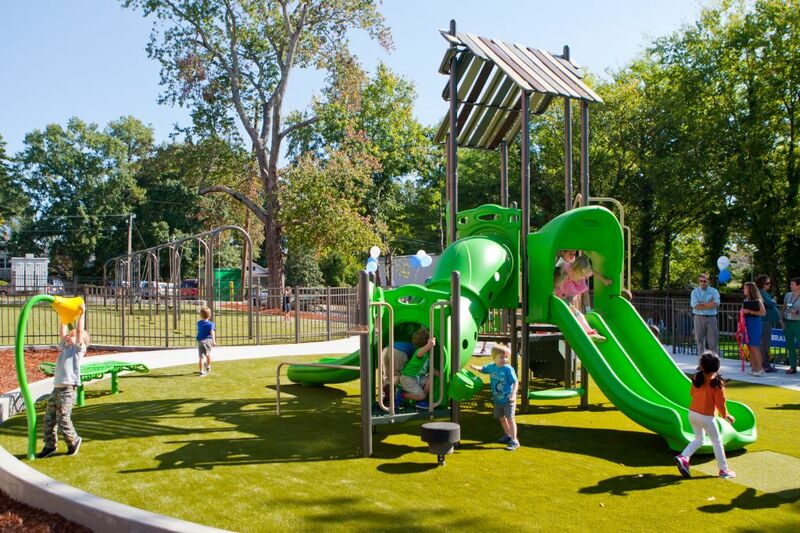 Our play experts can help you determine what your playground should include -- and what will work within your budget. Here are 11 questions to ask when you're planning a playground. 1. What playground equipment should I choose? Choosing the right equipment is an essential factor. If you don't create a fun, inviting, exciting playground, kids won't use it -- and for kids, play is vital. Play increases a child's self-esteem and develops social and cognitive skills necessary for daily adult life. 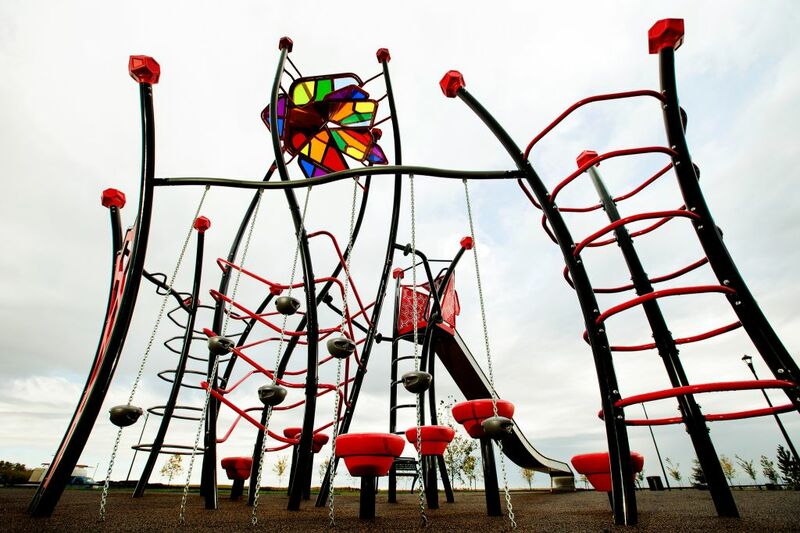 Playground design has taken dramatic turns in the past decades. Playground equipment you might remember from your childhood has been vastly redesigned with safety and inclusion in mind. Looking for a traditional merry go round? We have some -- we call them whirls -- but we also have more inclusive options for all kids to enjoy, like the Merry Go All. Do you want to add some monkey bars? We don't call them monkey bars anymore, but you can find tons of overhead climbing options. Overhead climbers are a great way to help kids remain active and get in daily exercise -- all while having fun, learning new skills, expanding imaginations, and building social skills necessary for life. We have lots of slides, too, and a customer-favorite, industry-first parent-child swing, called the Expression Swing. The goal of planning a great playground is simple: create a space where a child can be active and their imaginations soar. 2. Should I keep or replace existing playground equipment? 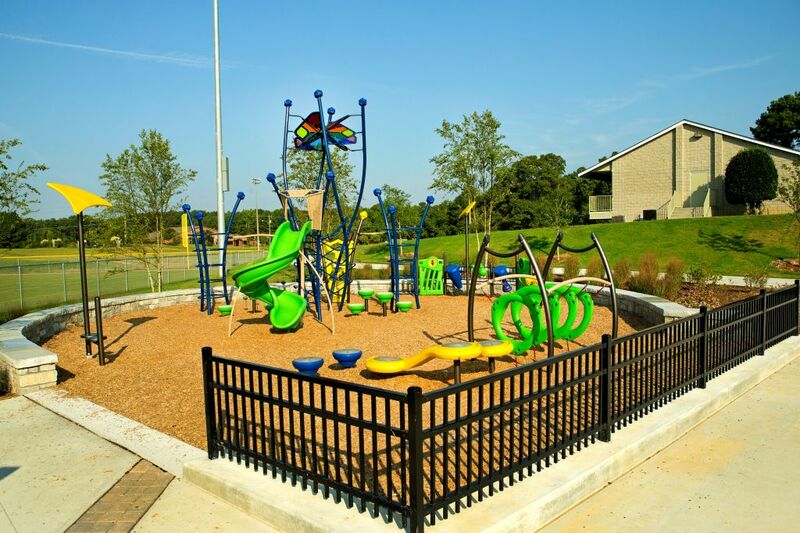 If you have existing equipment on-site, you'll need to have that playground equipment evaluated to make sure it's in good condition and meets current safety and accessibility standards. Our playground experts are happy to help you with that. If it no longer meets the needs of your community, or if it isn't compliant with modern safety standards, you will have to arrange for it's removal. Our local representatives and certified installers can assist with the removal and site preparation for new equipment. 3. How do I make sure my playground is right for kids of all ages? Another thing to keep in mind is age-appropriateness of the equipment. Activities should provide appropriate challenge levels and promote a developmental progression of skills as children gain confidence and coordination through beginner, intermediate, and advanced activities. For example, you'll probably want to include multiple slides -- 3', 4', and 5' slides for children aged 2-5, and an 8' slide for children aged 5-12. We also offer multiple climber options and ground-level activities for kids of all ages and abilities. 4. Why is an accessible and inclusive playground important? Accessibility and inclusion have become increasingly important things to consider, as well. In order to meet basic guidelines for access, there is a ratio of ground-level to elevated activities to be met. Our playground experts are here to help you understand inclusion and accessibility to ensure your playground addresses the needs of the whole child, the whole environment and the whole community. 5. How much does a custom playground cost? Customization and theming are great ways to make your playground unique, but the more custom options you add, the higher the price. The effort is well worth it, though. 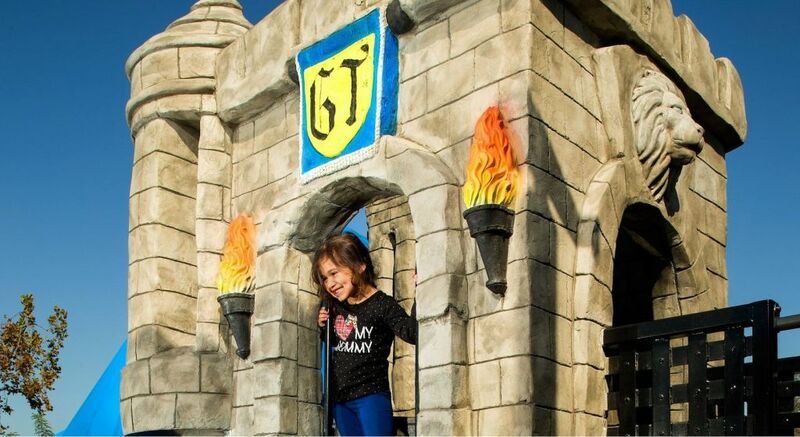 A themed space can allow you to maximize your community's history or add fantasy elements. You can add a castle! You can add a pirate ship! 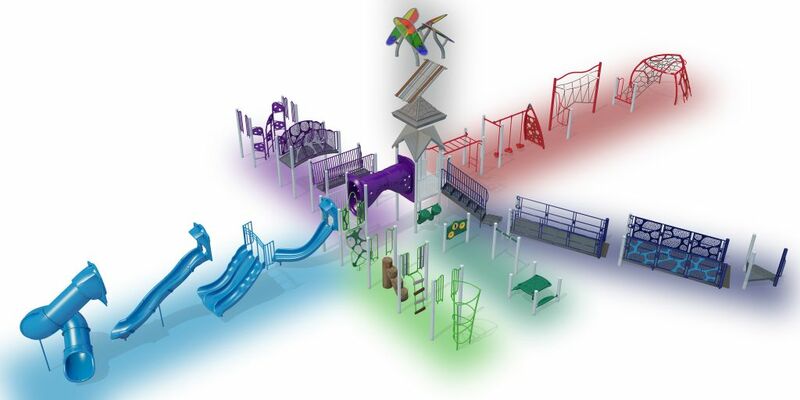 Our PlayWorx team will help you design the playground of your dreams. 6. What other features should I include on my playground? 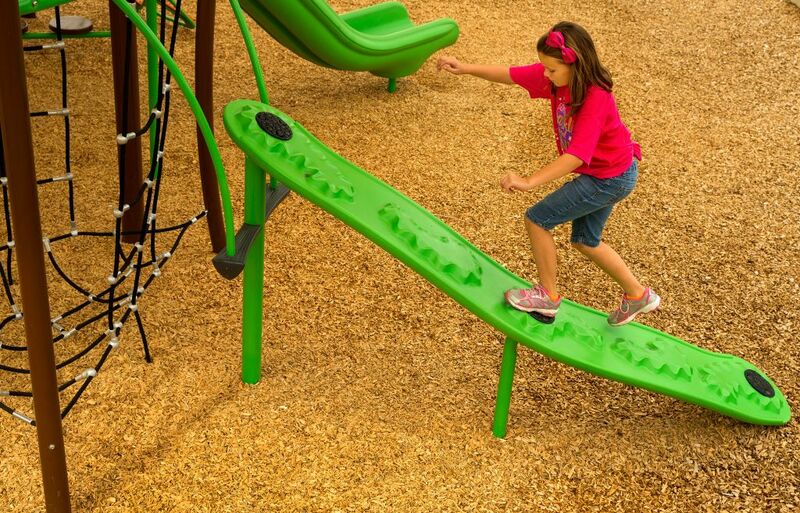 Other things to keep in mind are whether you want to include freestanding equipment -- like swings, climbers or the exhilarating new TriRunner -- and site amenities. Adding benches and shade are great for keeping parents cool and comfortable while they supervise kids. Bike racks are another option to include that promote community health and wellness. 7. How do I build a natural playground setting? Do you think you'll want to incorporate natural elements, like plants, shrubs, and trees? Such details help naturalize the space. 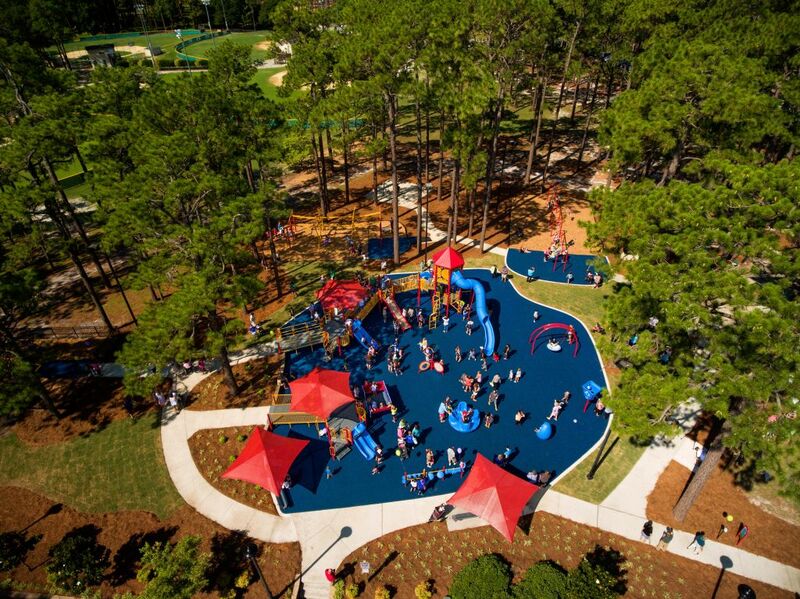 Our parent company, PlayCore, worked with the Natural Learning Initiative and NC State University to develop the NatureGrounds program - a guide to designing and retofitting a play environment with natural elements. 8. What playground surfacing should I use? Don't forget playground surfacing. Surfacing is an essential part of the playscape. It offers impact attenuation properties that help cushion inadverant falls from playground equipment. There are lots of surfacing options to choose from, too -- poured in place rubber, engineered wood fiber, recycled bonded rubber, recycled loose-fill rubber, recycled rubber tiles, and turf. 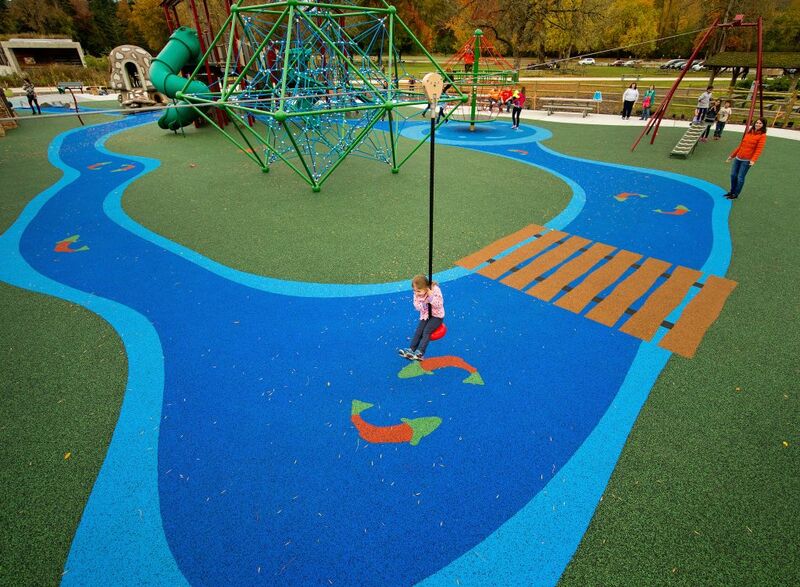 Our playground experts are here to help you determine the best playground surfacing for your community. You can also request a copy of our informative surfacing guide Strong Foundations to learn more about surfacing options. 9. Can I build my playground in phases? The final detail to consider is phasing. You can ask your local rep to illustrate phasing options, showing how your playground can be built and improved in multiple steps. Phase one could be built within your available budget, and phase two or three could come a few years later when you have raised more money. Seeing phase one being built will often rally participation from the community. 10. How much should I budget for a playground? Playground budgets are usually determined by how many kids you expect to use your playground. A good rule to follow is about $1,000 per child. This means if you expect your playground to accomodate 50 kids, plan for $50,000. It's not always that simple, though -- if you add ramps to make your playground accessible for people who use mobility devices, or if you want to incorporate custom elements, the price will go up. There will be wide variations within this model, though -- for example, if you choose a professional installation over a cheaper community build. Surfacing can also make a huge difference -- Engineered Wood Fiber (or woodchips, or mulch) might be cheaper, but it involves more long-term maintenance, whereas Poured In Place Rubber (PIP) is more expensive upfront by requires far less maintenance. ProTip: Choosing a level site with good drainage, no underground utilities, and easy access will help control site preparation costs. 11. How long does it take to build and install a playground? 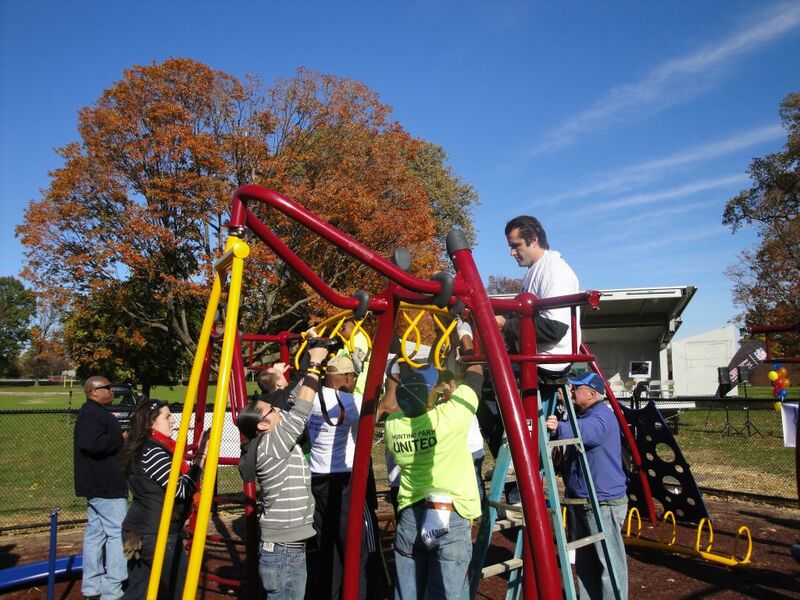 One of the most common questions we get asked is how long it takes to install a playground. And that, like everything else we've mentioned here, really depends on the complexity of the site. You need to check with your local government to determine what approvals and permits you need, and how long it takes to obtain those. You'll also need to enlist the help of certified installers (or supervisor, if you go with a community build). You'll need to make sure the landscape is prepped. Your local playground expert is a great resource for setting up a realistic timeline. That was a lot of information for Step 1, but as with anything important, planning is key. Look for Steps 2-6 of Playground Planning 101 in future blog posts. Can't wait that long? Request a copy of Blueprint for Play and get all the details now! Or get in touch with your local rep and let us plan your playground for you.